Personal Health: A Population Perspective will engage your students in understanding relevant personal health issues, set within a broader population health framework. 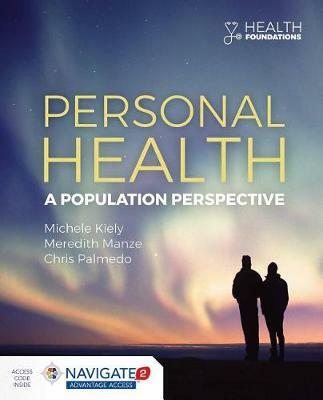 Unlike other Personal Health texts, this book will combine information about individual health, including topics of great interest and relevance to college-aged students, as well as a discussion of the context of community and global health to which each individual is inextricably linked. Students will learn not only how personal choices affect their own health, but that of their family, community and the world around them. Designed for public health majors as well as students fulfilling distribution requirements, the authors address the principles outlined by the Association of Schools & Programs of Public Health (ASPPH) for undergraduate public health education, throughout the text. The book is filled with examples from social media, websites and the popular press as well as peer-reviewed publications. Each chapter includes scenarios to stimulate conversations and social change.